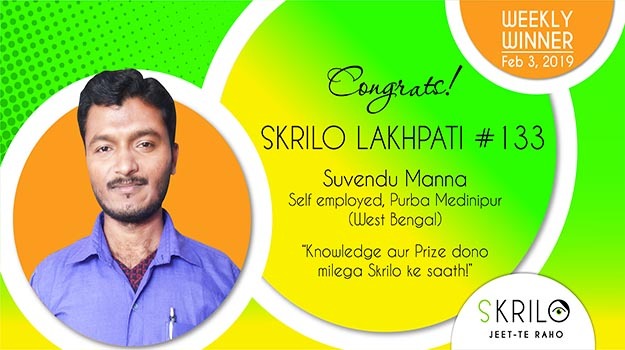 #Skrilo is your one-stop destination for everything you ever need, just like this week’s winner –Suvendu Manna –believes. Learn and earn at the same time, by downloading the #SkriloApp now! Congratulations! 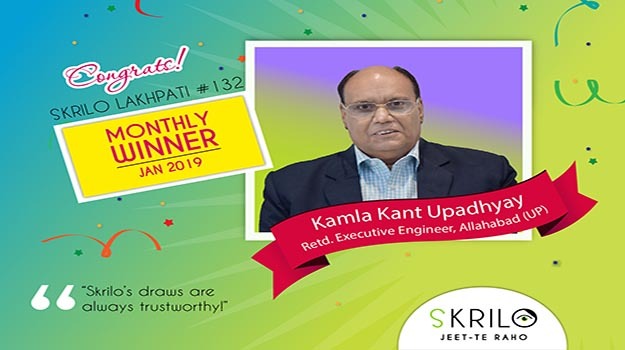 to Mr. Kamla Kant Upadhyay in becoming Skrilo Monthly Winner. #Skrilo is no ordinary app. It’s full of interesting content on everything from lifestyle and literature to travel and trivia. 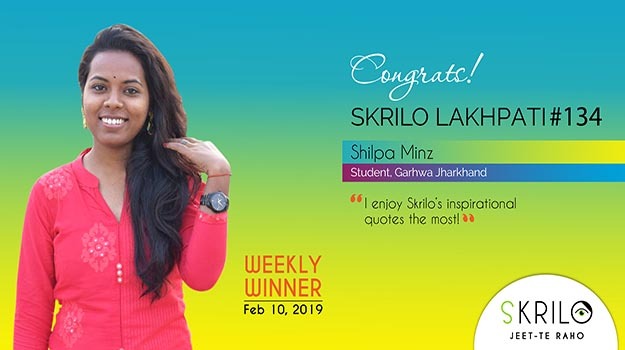 So much so that even this week’s #SkriloLakhpati — Elakshi Rustagi, a teacher — uses the #SkriloApp to keep herself up to date. It’s always pouring great offers and prizes on the #SkriloApp. 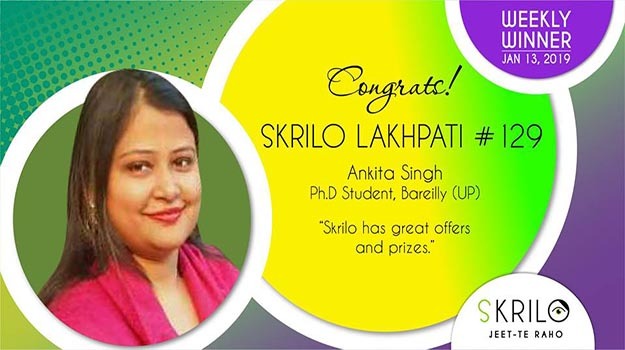 Now make the most of what we have to offer and find yourself in the #SkriloLakhpati club, just like this week’s winner! Congratulations! 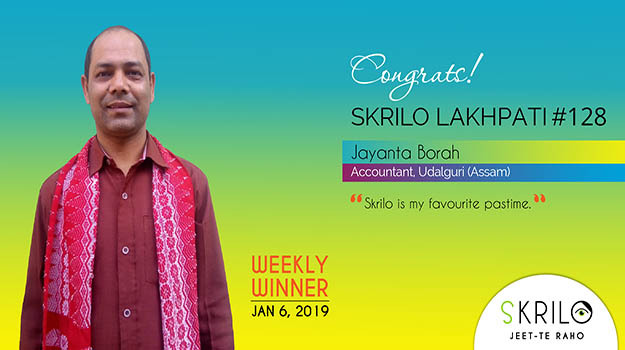 Mr. Jayanta on becoming the Skrilo Weekly Lakhpati. Congratulations! 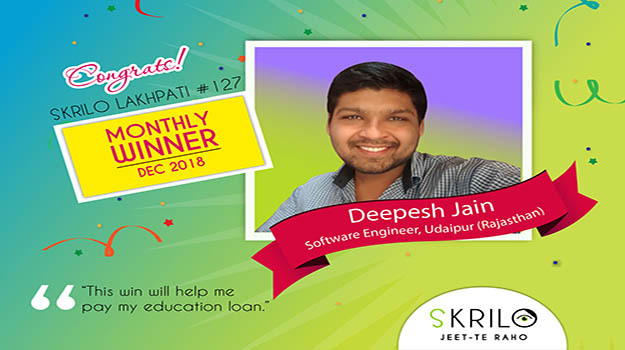 Deepesh on becoming the Skrilo Monthly Winner. Congratulations! 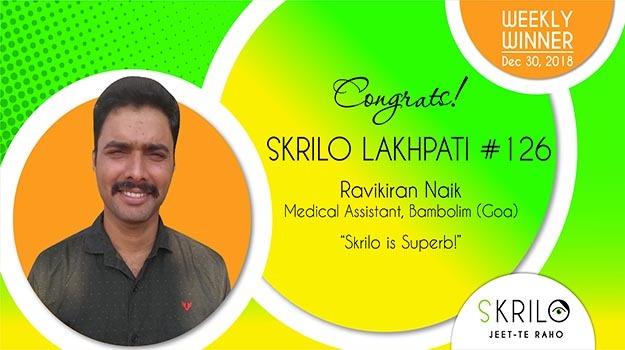 Mr. Ravikiran on becoming the Skrilo Lakhpati.